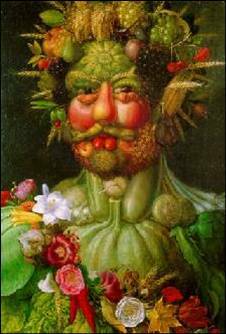 EPICURIOUSITY: Broad Appetit this weekend ! The inaugural Broad Appétit Food Festival will take place the afternoon of May 18th just east of belvidere on Broad St. It will feature Richmond’s favorite food purveyors, restaurants, chefs and artisans. The event is free to the public and is designed to feed your mind, body and soul with an eclectic mix of crafts and art, more food than you can imagine and a huge kid’s area with puppet shows and story-telling. A performing arts stage will host musical acts and performance artists, and demonstrations will be on hand from fascinating folks like our nations leading Bug Chefs and food revolution leader Joel Salatin. "The industrial global food system divorces people from their historical food relationships. The relationship humans enjoyed with the food on their plate no longer exists. Between the distance, the packaging, the processing, and the anti-human-ness of factory food, eaters no longer enjoy their dinner date. They are paranoid of her, wondering if she will nourish them, sicken them, or destroy their air and water. Rather than a soul-satisfying intimate act, eating is practically a chore at worst, and an afterthought at best. By patronizing local food producers, eaters rediscover their heritage relationship with food. The transparency creates integrity. Dancing with dinner re-creates the imbedded, indigenous community food system. It restores the butcher, baker, and candlestick maker to the village. That means socially, environmentally, and economically synergistic food systems. Indeed, it means a responding partner at dinner. Enjoy." - Joel Salatin. To learn more, visit polyfacefarms.com.